Dual-band wall mount panel antenna for amplifier/repeater systems. 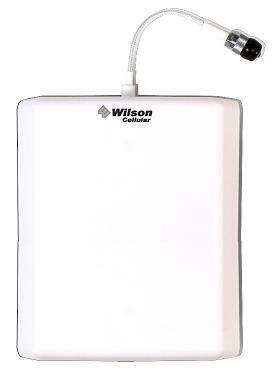 Compatible with Cellular, PCS, LTE 700 and iDEN (Nextel, Southern LINC, Mike). Directly to Amplifier or Splitter: Use LMR-400 Extension Cable. To LMR-400 Low Loss Cable: No adapters required.